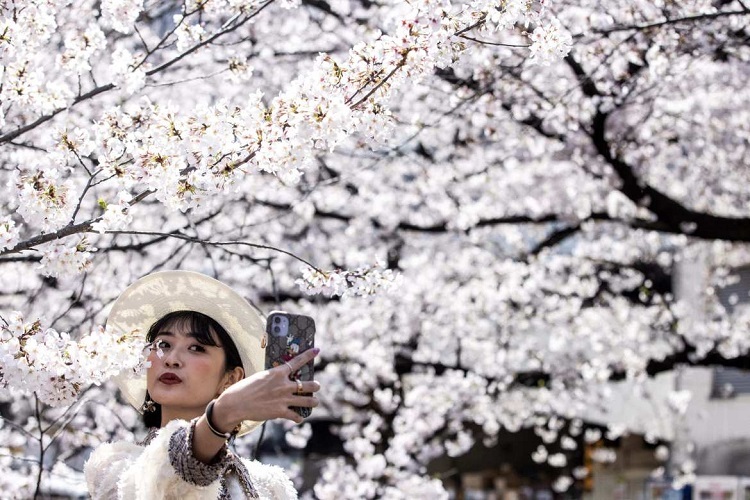 A Brief Guide to the Cherry Blossom Festival in Japan | Sali Blog - What's your story?A Brief Guide to the Cherry Blossom Festival in Japan – Sali Blog – What's your story? During springtime in Japan, you will notice that everything is decorated in clouds of delicate pink flowers. This is an ancient tradition since the cherry blossom season is essential for the Japanese people. They enjoy outdoor activities and spend time in nature while celebrating the essence of life and season changes. In recent years, it became a favorite time of year for travelers to visit Japan and enjoy in countless photographic opportunities and stunning landscapes. The act of observing spring’s blooming is called Hanami by Japanese people, and the real translation is flower viewing. It is an ancient custom that encourages people to appreciate transient beauty and nature of life. As soon as temperatures begin to rise at the end of March, trees will leave the state of hibernation and start to bloom. It is a short-lived event that lasts for a few weeks, and during this particular period, people of Japan celebrate the new season with outdoor picnics, parties,and street festivals. It refers mainly to watching cherry blossom, and even though the process happens to all nature and flowers, cherry blossom viewing is especially popular among older generations that enjoy celebrating the arrival of spring. The history and tradition of this particular festivity date back to the eighth century and it started by viewing of plum blossom, and afterward, it evolved into a focus on cherry blossoms, that we can find in The Tale of Genji, a literary piece from the 11th century. During these periods, people believed that trees possessed spirits and they provided offerings to their honor. The arrival of cherry blossom was considered as the start of the rice-planting season, and most Japanese writers found inspiration in a Cherry tree with numerous poems written about it. These practices were limited only to Imperial Court with a vast and luxurious feast that was accompanied by sake, and only high officials enjoyed this particular thing. After a while, other parts of society, as well as ordinary people, decided to do the same thing. Country’s officials decided to plant hundreds of cherry blossom trees so that this particular tradition would remain for generations that will come. Check this link: https://en.wikipedia.org/wiki/Hanami to learn more on Hanami and its importance for Japanese culture and lifestyle. How is Hanami Celebrated Today? The tradition purely remained the same as in the past, since everyone enjoys spending time with friends and family in local parks so that they can enjoy in pretty blossoms. They are also sharing drinks and foods on evening gatherings until the small hours of the night. At the same time, paper lanterns would decorate cherry trees to provide additional light. Today, it is a highly documented event in Japan with meteorological forecasts that will provide information to people when blossoms will start. TV stations and newspapers are keeping a close track on the cherry blossom trees movement all across the country. It is the most beautiful part of the year to visit with your friends and family.